Cloud Computing Disaster Recovery Cheat Sheet for Hacked WordPress presents the clever ways to make the hacker fool and get your website back within few minutes. You are probably expecting that, in this guide for Cloud Computing Disaster Recovery For WordPress After Hacking, we will say about third party services who earns a lot from your pain or will tell the ways how to decrapify your website from malwares yourself – kindly forget them! We will use the power and ability of Cloud Computing itself. It is better if you are hosted on Cloud Computing Based Hosting – that is Cloud Hosting. The Rackspace Cloud Sites is taken in this post as The Standard. If you are using those traditional server, the tricks will still work to deploy our method of Cloud Computing Disaster Recovery. It is mandatory to have a backup to use this guide for Cloud Computing Disaster Recovery for a hacked WordPress site. Database is the main thing for your WordPress, Understanding how MySQL handles and Stores the data of WordPress is important to follow this Guide on Cloud Computing Disaster Recovery. Rackspace uses Cloud Database Server with PHPMyAdmin installed. Your first divine work for Cloud Computing Disaster Recovery is to disconnect or stop access to the MySQL with your hacked website. So you can easily change the MySQL password if you are using Rackspace Cloud Sites. So if my Database is on mysql50-106.wc1.dfw1.stabletransit.com server and you have lost the access to FTP, simply delete the user and use a new password. This procedure is same for any Cloud Database service providers, if you are using some. Next for Cloud Computing Disaster Recovery after hacked is to think about having another domain, suppose thecustomizewindows.net , if you have some like that, well and good, if not buy a domain through The Rackspace Cloud and it will take 5 minutes or less to be online. In this new domain’s associated database through account or of the original domain’s associated database, add another new fresh database and restore your SQL backup. Put all FTP content from backup on this new domain. Edit the wp-config.php file and add the database details. So, basically you have changed your domain name now, which is not intended. However this mirror copy exactly will look like the hacked domain before it was hacked. Go to PHPMyAdmin and run SQL quarry to update your – domain’s name, user name, password. Otherwise the hacker will hack again. All needed SQL quarries needed and we mentioned for this trick Cloud Computing Disaster Recovery for a hacked website guide, can be found on WordPress Codex. So now you are thoughtful about my sanity. You have forgotten that, there is a feature in domain control panel, which enables you to point your any domain towards any other domain. So please kindly do it. So from upper level, I have disconnected that FTP. If your domain control do not have this feature ask the help desk, they can do it for you. Now the ultimate thing happening now : all old links are getting redirected to this .net site. Despite this is not good, but at least the site content is accessible. Delete your hacked domain from Rackspace Cloud Site’s Control Panel. So the hacker has to work a huge again. But there is a chance that you have some exploits left that might create the situation again, so follow the WordPress codex to make your WordPress on this new domain hack-proof. Now Add a new Client, use any name you want. And you will add your main (that was hacked) domain in this account and exactly restore the SQL backup and FTP content. Edit wp-config.php to change the database details. Go back to your Domain control panel to change the redirection to that new .net (or whatever) domain. So, your WordPress is again running now. Do not forget to add an .htaccess file / a line of code on that new .net (or whatever) domain’s FTP content folder to do a 301 redirection after this restored version is working. We hope you have understood the logic of how to proceed for Cloud Computing Disaster Recovery for a hacked website. This Article Has Been Shared 5825 Times! 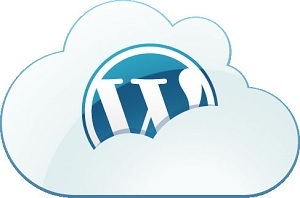 Cite this article as: Abhishek Ghosh, "Cloud Computing Disaster Recovery For WordPress After Hacking," in The Customize Windows, March 17, 2012, April 24, 2019, https://thecustomizewindows.com/2012/03/cloud-computing-disaster-recovery-for-wordpress-after-hacking/.